Permits and Documents when entering Mexico. Tourist Permit or Immigration Form Multiple FMM. Permit for the Temporary Importation of your Vehicle. If you plan to travel to Mexico beyond the border zone (which extends beyond 21 kilometers to the south and includes the entire territory of the States of Baja California, Quintana Roo and certain areas in the State of Sonora), authorities will request a Temporary Importation Permit for Vehicles to Mexico. Up to 21 kilometers of Mexican territory from the border. The states of Baja California and Quintana Roo. The free zone of certain areas of Sonora. The Temporary Importation of Vehicles service is for service only for Mexicans residing legally abroad and tourists (foreigners) who wish to visit Mexico with a foreign car. Processing the Temporary Importation Permit for Vehicles. Through the page of banjercito.com.mx. In the modules of banjercito at the border. If you want more detailed information, you can contact the Banjercito office. Phone: 011-52-55-96-89-80-06 and Fax: 011-52-55-21-22-58-85 (Attention Monday to Friday from 8:00 a.m. to 4:00 p.m., Mexico City time) You can also write to the mail: permisovehiculos@banjercito.com.mx LThe Bajercito offices are located in Av. Industria Militar No. 1055 Col. Lomas de Sotelo, Delegación Miguel Hidalgo, C.P. 11200, México, D.F. Processing permission through the Banjercito website. This is the simplest and recommended way to process the import permit that can be done from the comfort of your home. Just go to the page of banjercito.com.mx and select the option of Temporary Vehicle Import System. The permit can be processed 60 to 11 days prior to your trip. It is required to have your address updated since it is not possible to use a PO Box address. Enter all the information requested such as name, address, vehicle registration, etc. Make the payment of the deposit of the vehicle with credit cards. NO Debit cards are accepted. Ready! Once the procedure is completed, the Banjercito office will send your permit to the indicated address. Processing the permit through the Banjercito modules at the border. The permit can be processed in the North and South border modules. Below is the directory of the Modules with details of service hours, address and telephone for further reference. Border Module information is available on the Border Modules Directory page. Visit the page of Directorio de Módulos Fronterizos for more details. In the modules at the border, credit cards, debit cards and cash are accepted to make the payment of the permit process. Processing the permit in various Mexican consulates. TEXAS: Dallas, Houston y Austin. CALIFORNIA: Los Ángeles, San Bernardino y Sacramento. 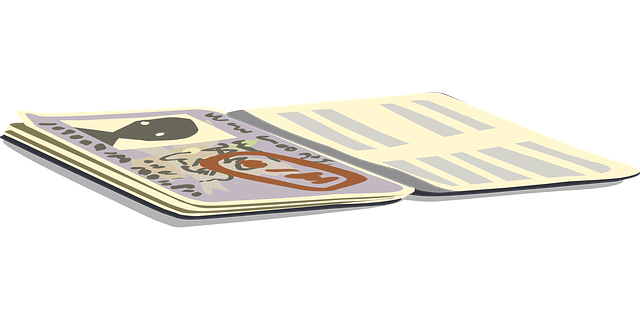 For the Mexican who legally resides abroad, present one of the following documents. For foreigners present one of the following documents and also present the official document issued by the National Institute of Immigration. Cost of the permit process and deposit in guarantee. The cost of the Temporary Vehicle Import Permit is $ 59.16 dollars at the exchange rate in Mexican pesos. The Deposit in Guarantee will depend on the year of the vehicle. For vehicles of the year 2007 and later , the deposit is 400 dollars . For vehicles of the year 2001 to 2006 , the deposit is 300 dollars. For vehicles of the year 2001 and previous , the deposit is 200 dollars. Refund of the guarantee deposit. Once your trip is completed, you must return the permit at the border to process the return of your vehicle. Once the final return of the vehicle has been registered at the Banjercito offices at the border within the period of validity of the permit ; the security deposit will be refunded. If your payment was in cash , the deposit will be delivered in cash in full at the border offices. If your payment was made with a credit or debit card in the name of the importer, the reimbursement will be made by Banjercito to the same card with which you made the payment, the next banking day, at the exchange rate of the date that the definitive return is made. It is important to inform you that if you do not return your vehicle on time, according to the maximum return date established in the temporary import permit, the amount of your deposit will be transferred integrally and definitively to the Treasury of the Federation, the day after the maximum date of return, in accordance with the provisions of the applicable legal provisions. The Only Sonora Program allows you to drive your vehicle through any of the 5 border ports of Sonora: San Luis Rio Colorado, General Plutarco Elias Calles (Sonoyta), Nogales, Naco, Agua Prieta and Puerto de Guaymas, Sonora to the state of Sonora , without having to comply with any permit, procedure or payment. In Sonora, it is only required to obtain a permit if you are going to travel farther than kilometer 98 of federal highway No. 15. Fee for the Only Sonora permit. The costs of the Only Sonora Permit depend on the place where the permit is processed. In Banjercito windows at the border, the cost is 22 dollars + tax. Processing the Only Sonora permit through the Banjercito page. The permit can be processed from 60 to 11 days prior to your trip.. It is required to have your address updated as it is not possible to use a PO Box address. Information necessary to process the Only Sonora permit online. For the Mexican who legally resides abroad one of the following documents. For foreigners one of the following documents and also the official document issued by the National Institute of Migration. Date of entry to México. Email – In this email you will receive a confirmation email with a reference number. Number of passengers in your vehicle. Address – This is the address where the authorization will be sent by mail. VIN number (identification number) of your vehicle. Credit card for payment of the transaction (must allow international transactions). If you are a foreigner, you must process your pre-authorization for migration before starting the process. If you are a foreigner before you start processing the temporary importation permit over the internet. You must visit the page of the National Institute of Migration for the pre-registration https://www.inm.gob.mx/sae/publico/pre-autorizacion.html to process the pre-authorization for migration. The vehicle permit will be granted for the same days authorized in the pre-authorization. Upon entering Mexico, you must go to the immigration offices to receive the official immigration form that allows you to enter the country. It is not possible to process the permit for a vehicle that is not in your name. The vehicle may be in the name of your spouse, children, siblings or parents too. It is not possible to process the permit for a vehicle that exceeds 3.5 tons (7,716.17 pounds) of cargo capacity. The applicant must be of legal age (18 years old). As established in Mexican laws. The holder of the credit card with which the payment will be made, must be in the name of the applicant. Work or student visas CANNOT process the permit online. Because it is necessary to validate that your visa is valid and has at least one continuous year of seniority. They should go directly to the Mexican consulates where there is a Banjercito office or directly at the border to obtain the permit. In the event that the information you enter is false. You May be subject to sanctions by the Mexican authorities. Banjercito reserves the right to deny the procedure. In the case of detecting any breach of current regulations. If you are paying for your vehicle check with your financial Institution if you can take the vehicle to Mexico. a. Contact your financial Institution to make sure they allow the vehicle to be driven to Mexico. b. If it is possible to take the vehicle, obtain a letter of authorization from your financial Institution. c. most of the financial Institution ask that auto tourist insurance be purchased before issuing the authorization letter. Buy your tourist insurance today here ! Documents that I have to take with me to Mexico if I processed the permit online. b. The registration of the vehicle. c. The temporary permit to import the vehicle that Banjercito sent by mail and the label that adheres to the windshield. d. If it is your case, your financial authorization letter to take the vehicle to Mexico. e. The tourist auto insurance policy to travel to Mexico. Buy the tourist insurance here !. f. If it is your case, you must go to the migration office at the border to obtain the tourist visa. (only for foreigners). The maximum time your car can stay in Mexico is six months. The temporary import license of the vehicles is valid for up to six months. You can enter and leave the country with your vehicle as many times as you want during this period. It is recommended to get the stamp for six months even if you do not plan to stay in Mexico for so long. Remember that your car can be confiscated by the authorities if you stay longer than the allowed date. It is VERY important to return the permit when leaving Mexico. The vehicle permit must be delivered to the border when it leaves Mexico so that the definitive return process begins at the Banjercito offices and for the authorities to confirm that the vehicle is no longer in the country. You must deliver the permit and the label. If the permit is not delivered when leaving Mexico, you take the risk of having to return to Mexico to return the permit. American citizens do not require a visa or tourist card for a stay of 72 hours or less within the “border zone”, defined as an area between 20 and 30 kilometers from the border with the United States, depending on the location. Foreign citizens traveling as tourists beyond the border area must obtain a tourist card, also known as a FMM available at the crossing points with the Mexican border. You need to pay the fee for the tourist permit in Mexico, and complete the FMM Tourist Visa form at the border checkpoint in case you plan to travel beyond the 35km of the ‘free zone’ after crossing the border into Mexico. The Multiple Migration Form (FMM) is granted by the National Institute of Mexican Migration (INM). It is also known as Tourist Card or Tourist Permit. All foreigners of any country must apply for the permit upon entering Mexico for vacation purposes. It is processed at the crossing points with the Mexican border in the INM office. It is possible to carry out the procedure online through the page https://www.inm.gob.mx/fmme/publico/solicitud.html. To complete the process, a passport or a passport card is necessary. The maximum period of days for which it can be issued is 180 days. Its cost is approximately $ 24 dollars. Please take into account that those who do not have their FMM card at the point of departure from Mexico can be fined by the National Institute of Mexican Migration (INM). Failure to comply with obtaining the necessary permit will result in a fine of $ 40 US dollars upon return to the United States. México charges a fee to all foreigners at the time of entering the country. The fee is approximately $ 24 dollars , and the money collected is given to the Secretary of Tourism to promote Mexican tourism. Traveling with minors without a parent. Mexican law requires that any non-Mexican citizen under 18 years of age must carry a notarized written permission from any parent or guardian who is not traveling with the child to or from Mexico. Such permission must include the name of the parent, the name of the child, the name of any person traveling with the child and the notarized signature of the absent parent (s). The State Department recommends that the permit include the dates of the trip, the destination of the trip, the airline and a brief summary of the circumstances surrounding the trip. The child must bring the original letter – not a copy or the scanned letter – as well as proof of the parent / child relationship (usually a birth certificate or court document) – and the original custody certificate, if applicable. Travelers should contact the Mexican Embassy or the nearest Mexican Consulate for updated information.